REMARKS: "Are sweet treats killing your kids.. literally? 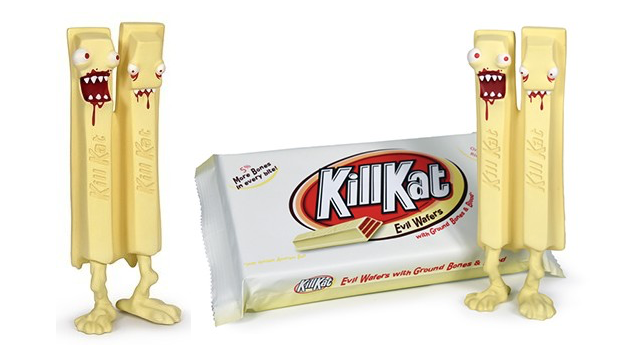 This special limited edition Kill Kat is covered in ground bones and filled with tasty blood… I wonder where it all came from? 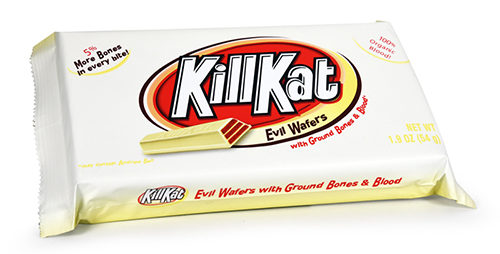 Now with 5% more bones in every bite. Don’t worry, they’re organic! From Dead Zebra Inc and the O-No Food Company."